Double Fine and Brooklyn-based fashion label Mishka NYC have paired up to create an unholy fusion of searing rock and softest cotton! 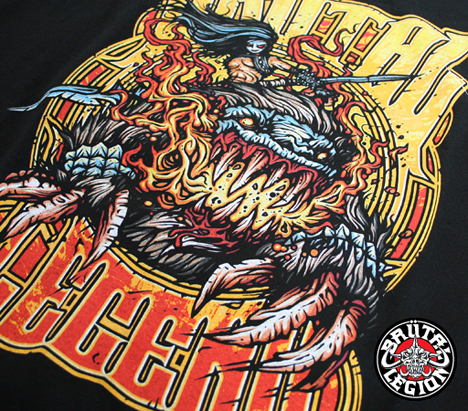 In addition to looking awesome, the two limited edition Brütal Legend t-shirts you see before you (after the break) boast an impressive heavy metal pedigree. 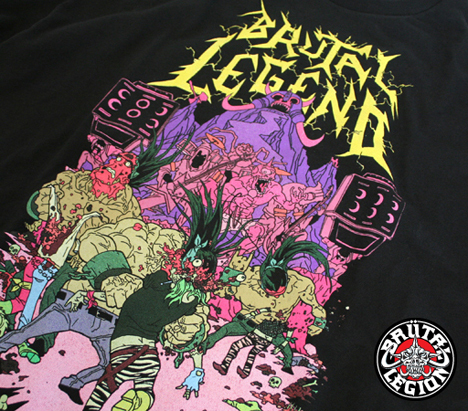 The Headbanger graphic was created by James Callahan, known for his work with Municipal Waste, and the Razorgirl graphic by Daniel Mumford, known for his work with Black Dahlia Murder. These shirts will not be sold, but given away in the coming months. 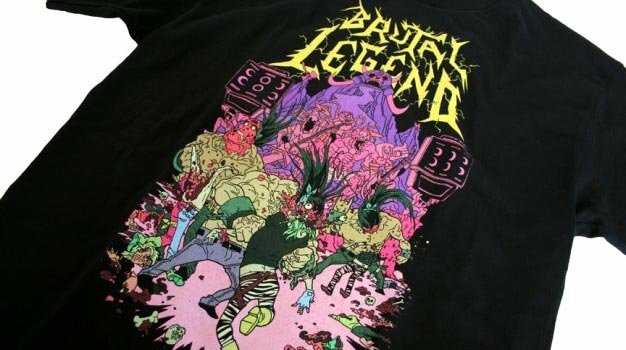 No details yet, but Double Fine promises to provided multiple chances for the Brütal Legend faithful to win one of these machine-washable masterpieces.